Wedding planning is a stressful experience for any bride and groom. It isn’t easy, especially if you have a lot to take care of with only little time to work with. Every aspect of the event has to be as perfect as it can get, and this includes even something as simple as your wedding labels. Wedding labels can be a handy tool to use to help make your make your wedding day more special. While they may not hold the same level of importance as the rest of your wedding details and ornaments, they still play a key role that every event host can certainly benefit from. You may also see thank-you label designs and examples. Have you ever heard of a wedding label? You know, one of those sticker-like tags that people attach to their wedding invitations and wedding favors? 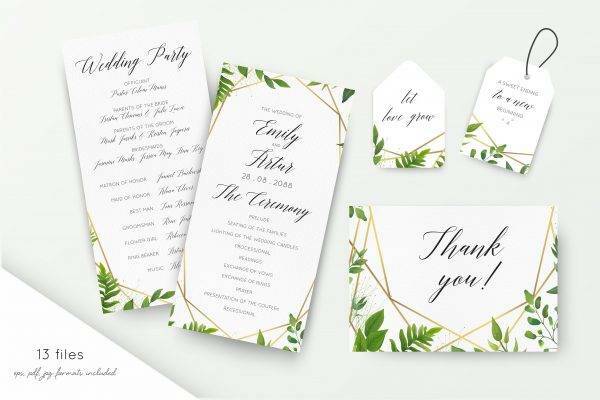 Wedding labels are exactly what you think they are: a small piece of paper or plastic material that bears information regarding the object it is attached to. These labels come in a variety of shapes and sizes, and are typically used as both an informative and decorative material. Though this isn’t exactly an event celebrated on the actual wedding day, it’s still a celebration that honors the couple’s big day, especially from the bride’s perspective. 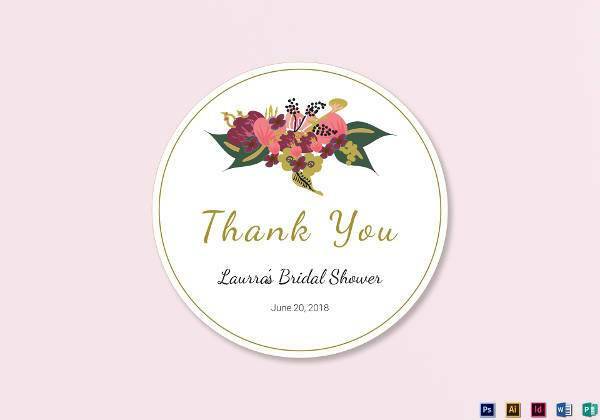 Bridal shower labels are often used for party favors and gifts. Most event hosts like to give away tokens to guests to show their appreciation for one’s presence in the said event. These labels are then attached to the token, which is often a decorative ornament that may be associated with the celebration, such as a candle or a jar of sweets. 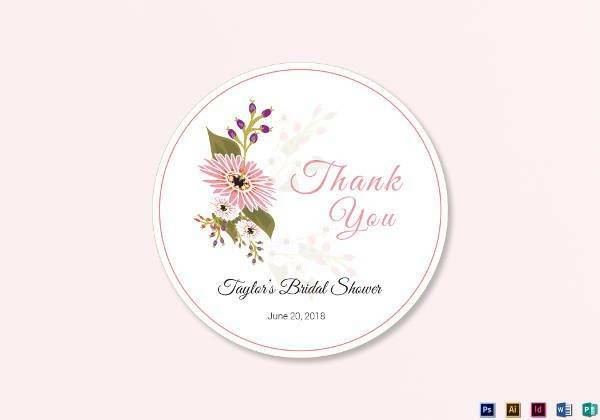 Hosts often use labels to emphasize the essence of the event for guests to cherish even after the party has taken place. 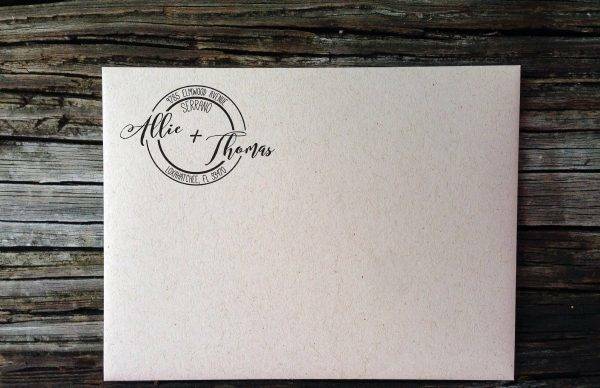 An RSVP label is typically used to make special reservations for guests attending the wedding. For instance, if the wedding reception is set to be held at a venue that only carries a maximum capacity of 50 people, then the event hosts are required to confirm the total number of attendees before the big day. With the help of an RSVP label that is sent along with the invitation, guests can verify their attendance immediately. This indicates that the affair has a strict attendance policy that you must cooperate with for the sake of the soon-to-be-married couple. 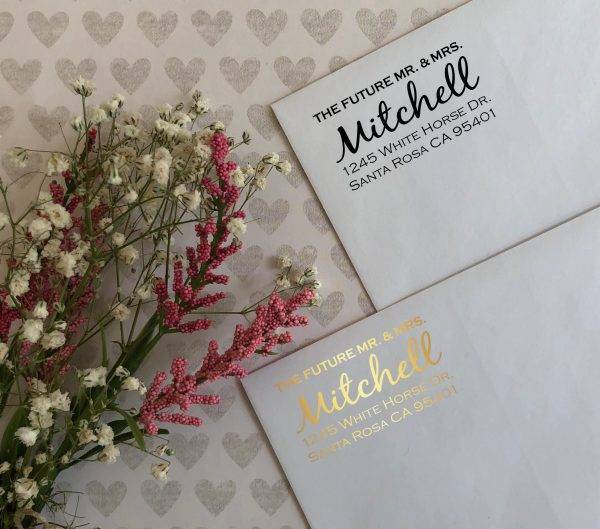 In addition to what was previously mentioned, invitation cards that include RSVPs might also have a return address label to let recipients know how they could respond to the invite. The label usually contains the name of the event host, their current address, as well as their personal contact details. Adding this to your RSVP cards might be necessary to instruct guests on how they may reply to your request. This also makes it easier for people to reach out to you whenever they have questions or concerns that need to be addressed before they provide you with a definite answer. 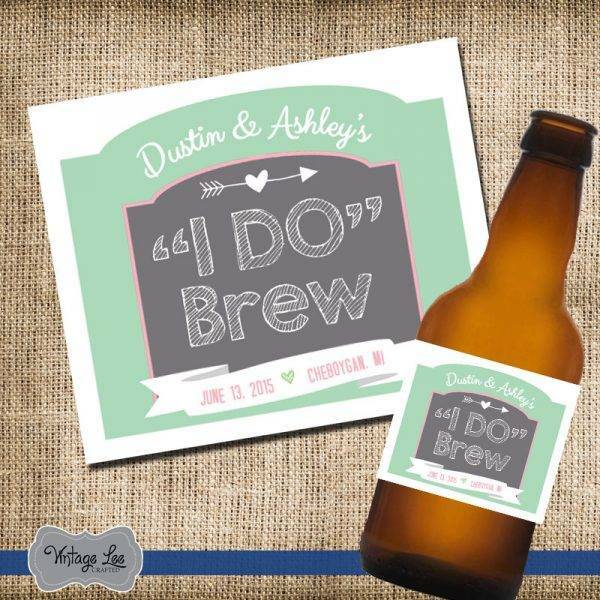 Wine and beer bottle labels are probably the most common wedding labels there is. 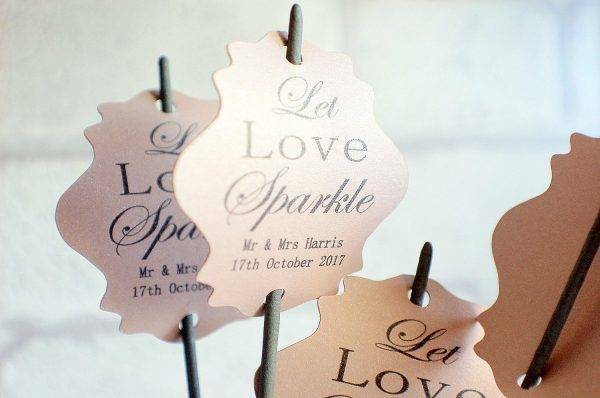 Though they aren’t exactly an important medium to use, they still blend well with the rest of your wedding embellishments. 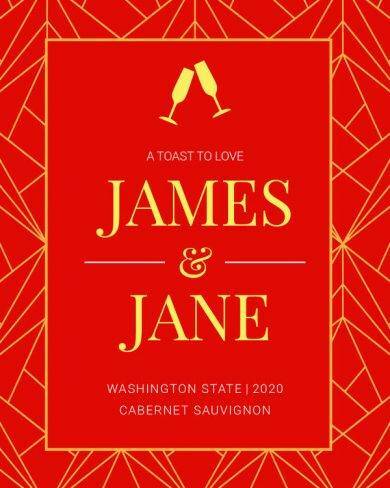 Instead of showcasing the brand of the liquor served during your wedding, you can replace this with your own personalized wine labels and beer labels. These labels could bear a design that complements your overall theme in order to maintain consistency across every element present in the event. This also serves as a great way to conceal the identity of these drinks to add a little twist for everyone to enjoy at your wedding’s mini bar. 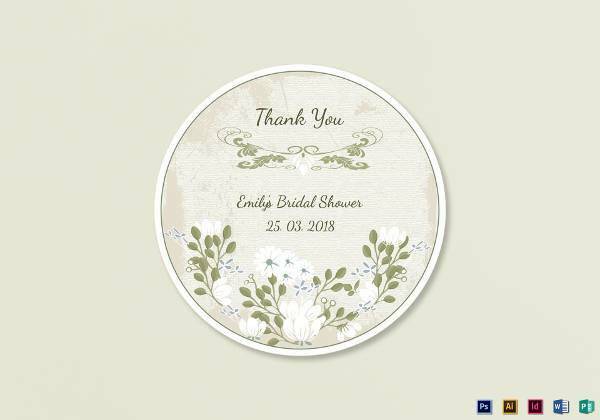 Is it Okay to Use Label Designs for Your Wedding? It’s hard to make a wedding decision when you have no idea what you’re doing. Your wedding planner could start asking you about floral arrangements, catering preferences, bridesmaid gowns, and table settings—and you’d be left standing there feeling a bit overwhelmed about all the responsibilities that you need to take care of before your big day. You may also see graduation label designs and examples. 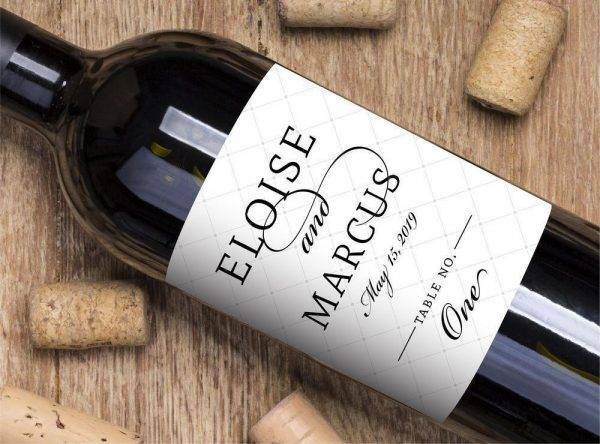 Though most brides and grooms pay attention to even the tiniest aspects of their wedding, are label designs really that necessary? Truth be told, wedding labels are completely optional. You either use them or you don’t. Ask yourself, do you want one? Do you have the time and resources to create one before your special day? 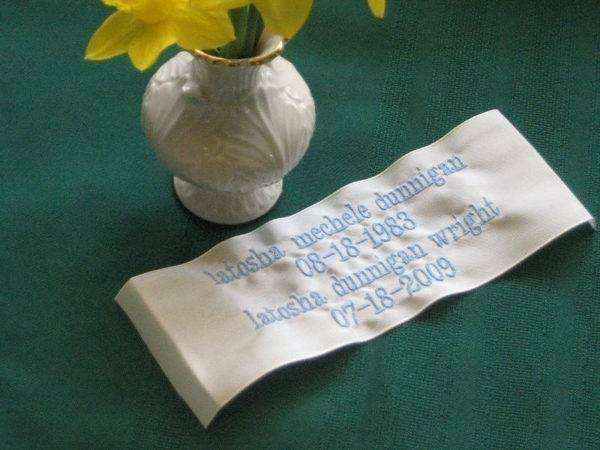 While some people would think that having their initials and wedding details engraved on every material they give away might be quite cheesy to say the least, but if you think about it, they aren’t all that bad. You may also like save-the-date label examples. There’s nothing tacky about letting your pride and joy show if it’s something that pleases you and your partner. People don’t really mind what you do, as long as it stays relevant to the occasion being celebrated. And honestly, weddings are already cheesy by default! So why not take it a step further with a cliché label design? You may also check out different types of warning labels. After all, it’s not like the label is completely useless. As what was stated before, a wedding label may be used for a variety of purposes. 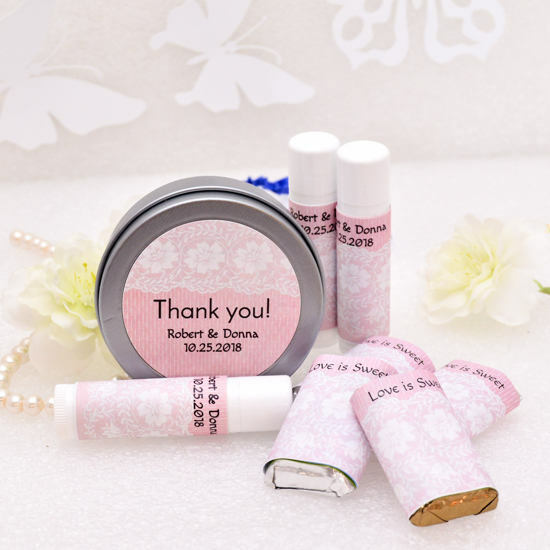 If you wish to relay significant information to wedding guests in a creative manner, then the label can do that for you. This way, you don’t need to worry about creating individual handwritten tags for every one of your RSVP cards and wedding favors. You might be interested in bottle label designs and examples. Producing labels might cost you some extra charges, but it’s nothing too serious that will force you to cut down on other event costs. 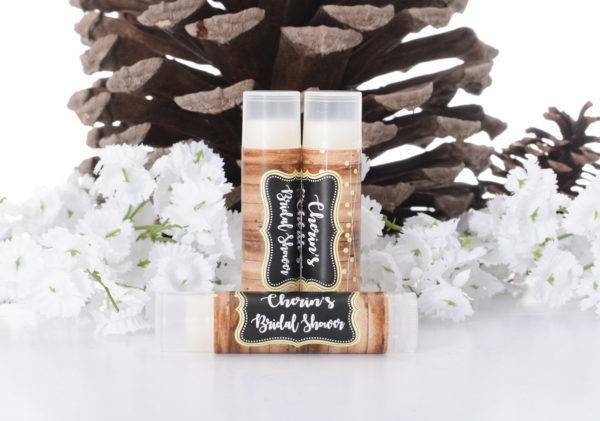 You can simply create a design for your labels, have them printed, and stick them to any wedding ornament you wish to have them on. It’s a quick and easy alternative that every busy wedding host is sure to appreciate one way or another. There are plenty of options to use something as simple as a wedding label in the most innovative way possible. 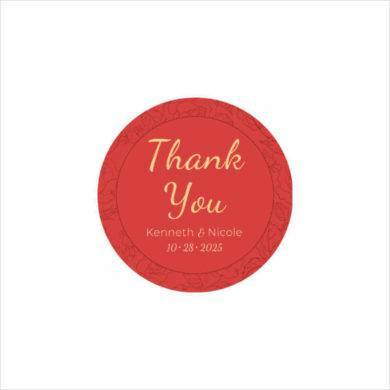 Wedding labels and personalized seals are a unique, inexpensive, and creative option for anyone looking to add a personal touch to their wedding. 1. Use it on clear glass. Clear glass holders, vases, bottles, and other containers are the perfect mediums to stick your wedding labels to. 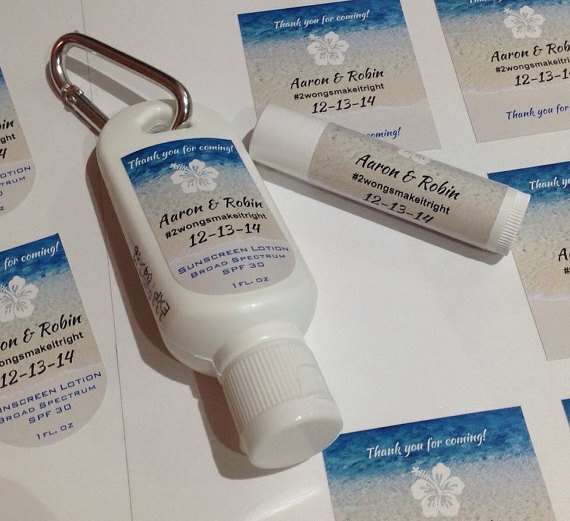 So instead of giving out water bottles with a company’s brand name printed on its label, you can have some fun by replacing it with your personalized wedding label. You could either follow the content written on its original label (besides the brand name), or put your writing skills into the test with a witty product label to give guests something to laugh about. You may also see wedding logo design examples. 2. Put it on gifts for a loving touch. 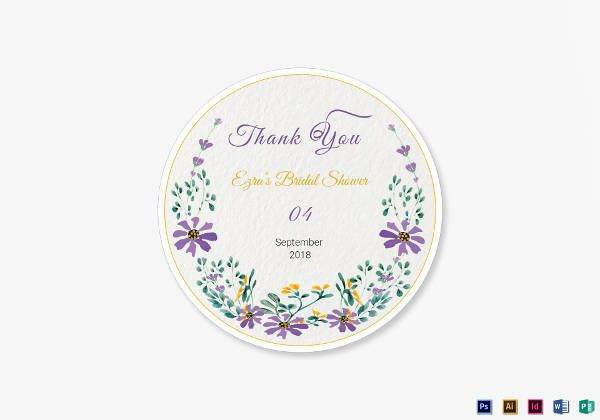 Wedding favor labels are perfect for dressing up your party gifts to give it that extra flair. If you’re giving away a jar filled with your favorite candy, then you can either put the label on the lid of the jar or on its sides. You can also use an adhesive to add it to the front of a paper bag or gift wrap to make the label more visible. You can take a look at personalized wedding designs. 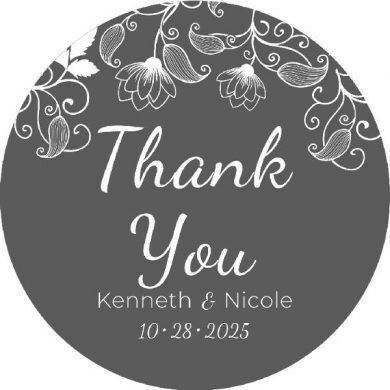 Most wedding favor labels come with a choice of imprint color, which means you get to make everything as color coordinated as you want. Say for example, you can make a blue and white wedding favor label to match the blue and white jellybeans that you’re handing out in tiny packs. Choosing a motif for your label that matches the whole theme of your wedding is the perfect way to highlight the essence of the party. You may also check out printable wedding card designs & examples. 4. Make it practical yet fashionable. Keep in mind that a label design can be just as functional as it is fashionable. 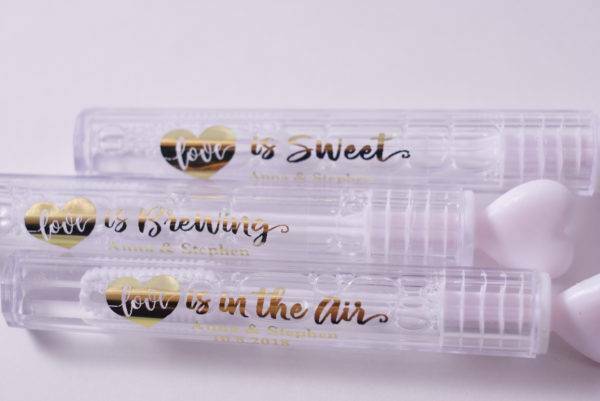 Since the label is often made with an adhesive substance on one side, you can use this to seal envelopes and favors to prevent the material inside of it from falling out. This also guarantees that the label is seen and handled with care, before a recipient starts ripping them out ruthlessly. You may also see examples of wedding invitation design. 5. Give your favors a classic look. Labels add this distinctive look to your design by making it appear a million times more appealing than it already is. But when choosing your label design, be sure to consider the style of the celebration you had planned. 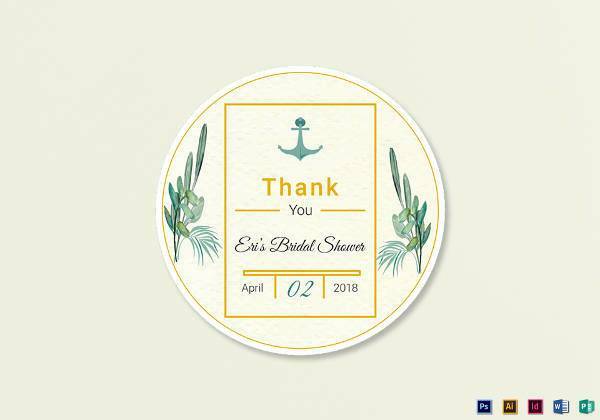 Vintage labels would blend perfectly with rustic- or retro-themed weddings, while floral labels are an ideal choice for elegant and sophisticated events. But if you’re looking for something more simple and classic, then adding a few swirl designs would definitely do the trick. 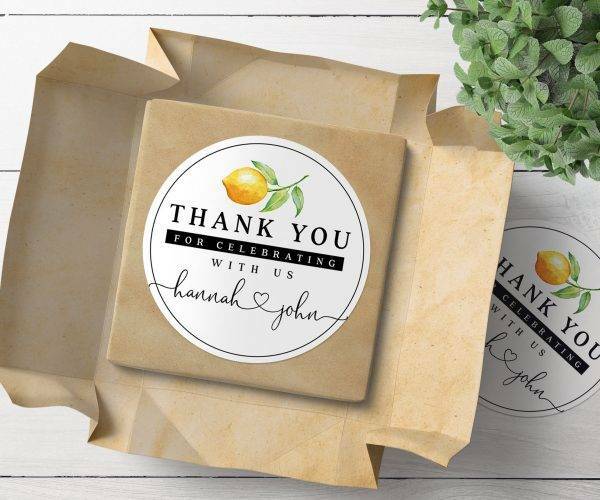 If you have the time and resources to do it, then why not craft personalized seals and labels for every single envelope and favor you send out? Along with your names and wedding details, you can also include the names of the specified recipients for each item. It’s almost like giving away personal gifts to family and friends over the holidays. The labels make the giveaways seem extra special for guests to cherish even after the day has passed. You may also like wedding announcement designs & examples. Weddings are sacred celebrations that commemorate the union of two souls. But behind all the glitz and glamour of the event comes a considerably stressful journey of planning for both the bride and groom. 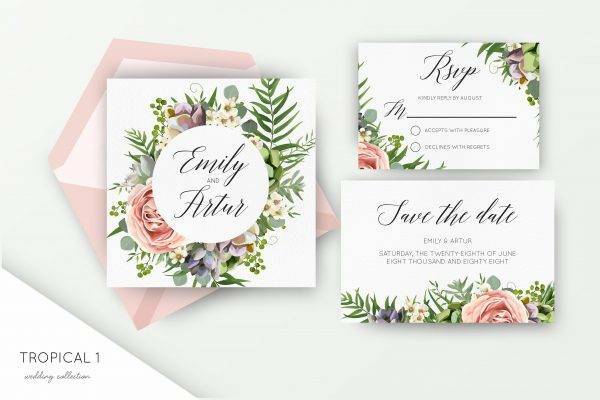 Making sure that every aspect of your wedding is taken care of is incredibly challenging, which is why a wedding label might be a good addition to your wedding essentials. With the proper creation and application of these labels, guests are sure to be charmed by these elegant pieces. You may also check out wedding greeting card designs & examples.